The Exostar board of directors is composed of experienced leaders from highly regulated industries, who provide guidance and oversight to the Exostar leadership team. Exostar Chairman of the Board, Technovation, Inc.
Paul G. Kaminski is Chairman and CEO of Technovation, Inc., a small consulting company dedicated to fostering innovation and to the development of business and investment strategies related to the application of advanced technology in the aerospace and defense sectors. Dr. Kaminski served as the Under Secretary of Defense for Acquisition and Technology from Oct. 3, 1994 to May 16, 1997. He was responsible for all Department of Defense (DoD) research, development, and acquisition programs, as well as DoD logistics, environmental security, international programs, the defense industrial base, and military construction. The annual budget for these entities exceeded $100 billion. Dr. Kaminski has had a continuing career involving large program management and the development and application of advanced technology in both the private and public sectors. He served as Chairman and Chief Executive Officer of Technology Strategies and Alliances, a technology-oriented investment banking and consulting firm. He has served as a consultant and advisor to a wide variety of government agencies and as chairman, director, or trustee of several defense- and technology-oriented companies. His previous government experience includes a 20-year career as an officer in the U.S. Air Force. During 1981-1984, he served as Director for Low Observables Technology, with responsibility for overseeing the development, production, and fielding of major “stealth” systems (e.g., F-117, B-2). He also led the initial development of a National Reconnaissance Office space system and related sensor technology. 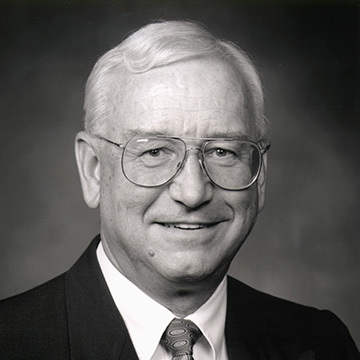 Early in his career, he was responsible for test and evaluation of inertial guidance components for the Minuteman missile and terminal guidance systems for our first precision guided munitions. Dr. Kaminski is a member of the President’s Intelligence Advisory Board, is Chairman of the Defense Science Board, and serves as a member of the DNI’s Senior Advisory Group, FBI Director’s Advisory Board, the Senate Select Committee on Intelligence Technical Advisory Board, the National Academies Air Force Studies Board, and the Atlantic Council. He is a member of the National Academy of Engineering, a Fellow of the Institute for Electrical and Electronics Engineers, and a Fellow of the American Institute of Aeronautics and Astronautics. He is Chairman of the Board of the RAND Corporation, Exostar, and HRL (formerly Hughes Research Labs), and is a Director of General Dynamics, Bay Microsystems, CoVant Technologies, and the USAF Academy Endowment. He serves as an advisor to the Johns Hopkins Applied Physics Lab and MIT Lincoln Laboratory. He has authored publications dealing with inertial and terminal guidance system performance, simulation techniques, Kalman filtering, and numerical techniques applied to estimation problems. Dr. Kaminski has received the following awards: 2011 Missile Defense Agency’s (MDA) Ronald W. Reagan Missile Defense Award, National Medal of Technology 2006, Department of Defense Medal for Distinguished Public Service (three awards), Defense Distinguished Service Medal, Director of Central Intelligence Director’s Award, Defense Intelligence Agency Director’s Award, Legion of Merit with Oak Leaf Cluster, Air Force Academy 2002 Distinguished Graduate Award, the International Strategic Studies Association Stefan T. Possony Medal for Outstanding Contributions to Strategic Progress through Science and Technology, the AOC Gold Medal, the Netherlands Medal of Merit in Gold, the French Republic Legion d’Honneur, and the Air Force Systems Command Scientific Achievement Award. He has been recognized as a Pioneer of National Reconnaissance and a Pioneer of Stealth. Richard joined the management team of Exostar in early 2007, initially in the role of Chief Financial Officer. He became Chief Executive Officer in 2011. Richard was previously the Vice President of Finance and member of the executive management team at Data Systems Solutions (DS&S), a world leader in asset management and predictive maintenance. The company is an international technology leader in various markets, including nuclear, aerospace & defense, and energy. When Richard joined the company it was a joint venture between SAIC and Rolls-Royce. 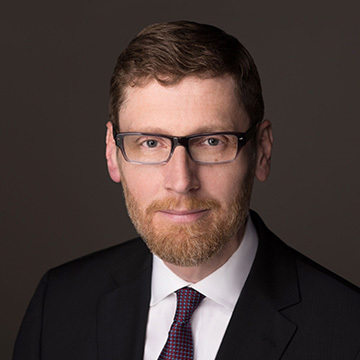 Prior to joining DS&S, Richard held various positions of increasing leadership, having worked for an international public accounting firm in Washington D.C. for several years before joining Atlantic Research Corporation, a subsidiary of Sequa. Richard then moved to Rolls-Royce North America where he assumed successive positions of responsibility, ultimately as Director of Tax for Rolls-Royce North America. In this position, he managed the design and implementation of corporate restructurings, cross-border financing, mergers and acquisitions, and economic development. In addition, he led the design and implementation of the company’s “Building Financial Acumen” program with the University of Virginia’s Darden School of Business. In addition to holding an undergraduate degree in Accounting from Marymount University, Richard is a Certified Public Accountant (CPA) and holds a Masters of Tax degree from The George Washington University. He also serves on the Aerospace Industry Association Board of Governors, and is a member of the American Institute for Certified Public Accountants (AICPA). 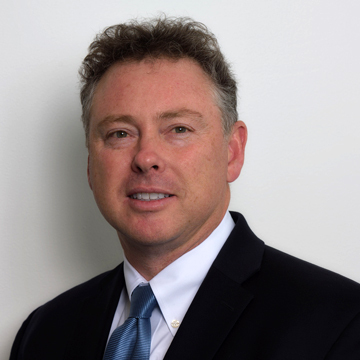 Philip E. Goslin is Vice President Global Supply Chain for Lockheed Martin Rotary & Mission Systems. Mr. Goslin was appointed to his current position on January 1, 2013. In this position Mr. Goslin is responsible for all aspects of supply chain strategy, supply chain operations, and subcontract program management for the Rotary and Mission Systems Business Area. In January 2017, Mr. Goslin assumed leadership of the Supply Chain Council where he is responsible for supply chain policy, enterprise initiatives and cross business area collaboration for the corporation. 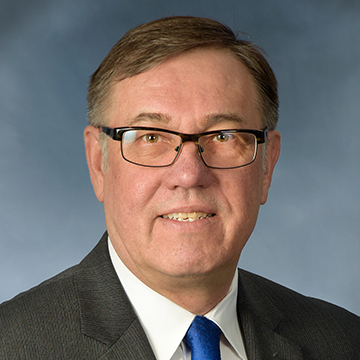 Prior to assuming the position of VP Global Supply Chain – RMS, Mr. Goslin served as Director Sourcing for the Lockheed Martin MS2 Line of Business since April 2005. In this position Mr. Goslin was responsible for supplier integration strategy, supply chain best practices, subcontract program management and program capture support for MS2. Mr. Goslin received a BS in Mechanical Engineering from Northeastern University in 1978 and subsequently he began his career with General Electric where he held positions of increasing responsibility in manufacturing and subcontract program management. Mr. Goslin has held senior manager positions at GE, Martin Marietta, and Lockheed Martin. David Wilkins is vice president of Contracts and Supply Chain for Raytheon Company; he was named to the position in March 2010. 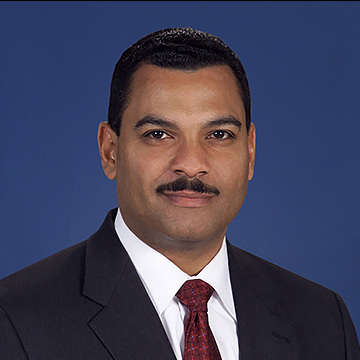 He is a member of Raytheon’s senior leadership team and participates in the operational management and strategic planning of the company. Raytheon Company (NYSE: RTN), with 2009 sales of $25 billion, is a technology and innovation leader specializing in defense, homeland security, and other government markets throughout the world. With headquarters in Waltham, Mass., Raytheon employs 75,000 people worldwide. Prior to his corporate leadership role, Wilkins was Vice President, Contracts for Raytheon’s Network Centric Systems (NCS) business, based in McKinney, Texas. Wilkins joined Raytheon in January 2002 as director of Contracts for Command, Control, and Communications Systems at NCS’s operations in Marlborough, Mass. Before joining Raytheon, Wilkins served in a number of positions with increasing responsibility in the aerospace and defense industry. Wilkins has also served as a contracting officer and acquisition analyst at the DoD Space and Missile Systems Center in Los Angeles, Calif., and in the Air Force’s Contract Management Division in Anaheim, Calif.
Wilkins is a member of the Maryland Bar and the American Bar Association. He is also a Certified Professional Contract Manager (CPCM) through the National Contract Management Association. He received his bachelor’s degree in economics and financial management from the University of New Mexico in 1984 and his M.B.A. in 1985. He earned his law degree from Loyola Law School in Los Angeles in 1998. He also graduated from an Executive Graduate Program at the Harvard Business School and the Wharton School of Business in 2000. Mike Elliott is the Group Treasurer of Rolls-Royce North America. He joined Rolls-Royce plc as an Engineering Graduate Apprentice in 1987; his first job was in Development Engineering. He transferred to the Finance function in 1992, joining the Treasury team in the dealing room. Five years later he moved to the newly formed Roll-Royce Capital where he worked in Structured Asset Finance and Export Credit. During his time in RR Capital, he successfully eliminated substantial contingent liability exposure using novel finance and reinsurance structures. He moved to the U.S. in 1999, where he took up the position of Group Treasurer. In this role, he is responsible for all Treasury operations, Pensions, the Finance Leadership Development Program, and oversight of the Political Action Committee. Mike has a degree in Physics from the University of Sheffield and an MBA from the University of Warwick. He became a US Citizen in 2008 and lives in Arlington with his wife Anna and their three boys. Paul Pasquier leads the Global Technology organization, which seeks the best external sources with the capability to research and develop technology on behalf of The Boeing Company. Working with Boeing business units and Boeing International, Global Technology leverages technology development around the world to improve the yield of Boeing research and development (R&D) investments. Global Technology is comprised of five major elements: Global R&D Strategy (GRADS), which develops a globally linked technology network that includes technology alliances, industrial participation operations, and university R&D collaboration; Visibility and Integration, which provides tools, processes, and information about the global R&D opportunities; Technical Sourcing, Evaluation & Integration (TSE&I), which finds, evaluates, and integrates needed and emerging technologies using a non-traditional network of trusted referral agents; Supplier Management (SM), which provides collaborative and innovative supply management solutions for Boeing’s Research & Technology (BR&T), Test & Evaluation (BRT&E), Intellectual Property Management (IPM), and Environmental, Health & Safety (EHS) organizations; and Boeing International Research & Technology centers around the world, which work on applied research. Paul’s previous assignment was the General Manager for Supplier Management & Procurement for Boeing Advanced Research and Development Unit Phantom Works. Prior to that assignment, Paul was the Information Technology Program Manager for eBuy@Boeing, a strategic companywide initiative to move the company’s heritage procurement systems, 12 million purchasing transactions, and $30 billion in annual procurement to the web-enabled electronic marketplace. He established the Joint Venture, Exostar, with four major aerospace partners. Paul’s prior experience equips him with a strong background in program management, information systems, new business ventures, and procurement. He joined The Boeing Company in 1979 and has held increasingly responsible positions in the commercial airplane groups and defense and space, involving leading-edge, technology-intensive products and programs. Paul is a graduate of Seattle University and Columbia University Graduate School of Business, Senior Executive Program. He and his wife Karyn enjoy many family and sporting activities with their two children. Joe has more than two decades of experience in health care investing applying a technical engineering background coupled with an understanding of emerging technologies. He is considered to be one of the industry’s leading corporate investors. In 2016, Joe was named by Global Corporate Venturing as one of the top five rising stars. Joe currently holds board seats with Prognos (Medivo), Liaison/Remedy, Preventice, ClearDATA, Exostar and MiHealth. Previously he sat on the boards with Aptus (Physicians Interactive), Healthsense and Koneksa. Colleagues have called Joe instrumental in transforming Merck GHIF from a leader, not only in venture capital, but also in growth equity and M&A. He earned industry laurels when he participated in the sale of Humedica, a healthcare analytics company, to UnitedHealth Group in 2013, a transaction that produced a 17-fold return. 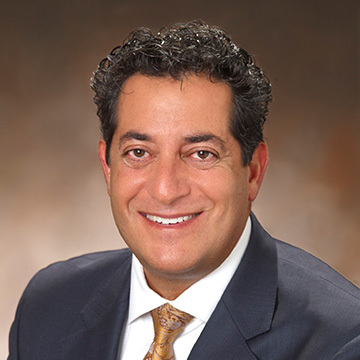 In addition to his success with Humedica, Joe has led investments and acquisitions in companies such as Liaison, Preventice, Physicians Interactive, Koneksa, Prognos, WellDoc, Exostar, Milheath and ClearDATA. He has evaluated thousands of digital health companies and has invested in two to three companies annually since 2011. During that same period, he has also managed 40-plus transactions at Merck, all at various stages of maturity. Another notable success for Joe was his leadership with Preventice to further develop its remote care monitoring platform for cardiac arrhythmia patients. Joe led the Merck strategy and merger of Preventice with eCardio and eventually sold a portion of the combined company to a leading healthcare channel partner, which paid back the fund for the original investment while maintaining majority share of a more valued company. Joe also focused on the patient physician engagement space with his Physicians Interactive (now called Aptus) investments. He eventually led the acquisition of the company on behalf of MerckGHIF. Joe also led the acquisitions of MedHelp, Quantia MD and Tomorrow Networks. Joe came to Merck from Johnson and Johnson where he spent more than 20 years in innovation and investment roles across Consumer, Pharma and Device sectors of J&J. Prior to that he was a consultant with EDS where he graduated from their Top Gun business and technology program. He went to the University of South Florida where he obtained a degree in Business/Information Systems and Engineering. The Honorable Michael Montelongo, a former presidential appointee and Senate-confirmed official, is president and chief executive officer of GRC Advisory Services, LLC, a private firm specializing in board governance, risk management, and compliance matters. 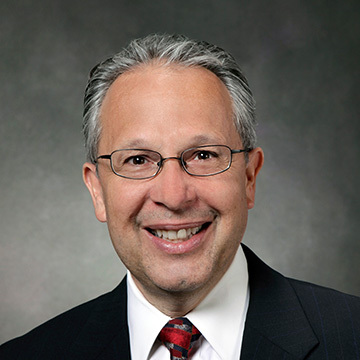 He is also a senior advisor at leadershipForward, a premier leadership performance firm serving Fortune 500 and small business clients and serves on the boards of Herbalife Ltd., the Larry H. Miller Management Corporation, and Aerospace Corporation. A frequent National Association of Corporate Directors (NACD) and Inside America’s Boardrooms speaker and panelist, Mr. Montelongo is an experienced c-level executive and board governance leader who has led commercial, public sector, and non-profit organizations and brings a unique and broad service industry and customer experience skill set in facilities and food service management, banking and financial services, automotive, professional sports, entertainment and retail services, outsourced technical services, telecommunications, professional services, and aerospace/defense, including tours in the U.S. Senate and the Pentagon. Focusing on strategy, financial and risk management (including cyber-risk), policymaking, and operations excellence for global commercial and public sector enterprises, he is recognized for leading change in large organizations. Most recently, Mr. Montelongo served as chief administrative officer and senior vice president, public policy and corporate affairs for Sodexo, Inc., the leading $9 billion, 133,000-person quality of life services enterprise in North America. Previously, he was a Bush White House appointee serving as the 19th assistant secretary for financial management and chief financial officer of the U.S. Air Force and concluded his tenure at the Pentagon as acting secretary of the Air Force. Before joining the Bush administration, Mr. Montelongo was an executive with a global management consulting firm, a regional telecommunications company, and completed a career in the U.S. Army that included line and staff assignments, a Congressional Fellowship in the U.S. Senate, and service as an assistant professor teaching economics and political science at West Point. A public policy expert, he is a lifetime member of the Council on Foreign Relations. The first in his extended family to attend college, Mr. Montelongo earned his bachelor’s degree in science from West Point and a master’s degree in business administration from Harvard Business School. Active in civic leadership, he volunteers for organizations that expand opportunities for young people, support community health and wellness, assist veterans, and promote national service. 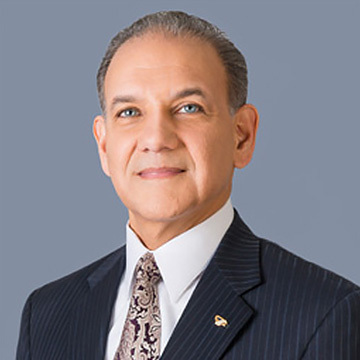 A recipient of military, government, and corporate awards, he is featured in several nationally-recognized Latino publications including being twice-listed in Hispanic Business Magazine’s 100 Most Influential Hispanics. Mark Reason is Director, Real Estate Solutions Shared Services, for BAE Systems. In this role he is responsible for the leadership of the Real Estate business within BAE Systems. This encompasses the management of operational sites as well as the remediation and regeneration of surplus properties across the group. Mark has additional responsibilities that cover the internal Corporate Air service and the Commercial function within the Shared Services business unit. 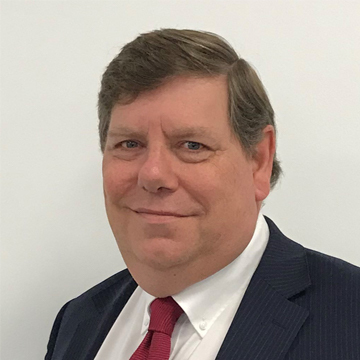 Mark has been with BAE Systems for over 40 years and previously served as the Director of Corporate Strategy, having held various roles leading Merger & Acquisition projects in both the commercial aerospace and defence sectors. His early career began in a series of commercial roles before moving into marketing support and business development. Mark holds a Bachelor’s degree in Business Studies from Kingston University. He also represents BAE Systems as a non-Executive Director of Spectrum Technologies Ltd.
Mark lives in Surrey with his wife Elaine and enjoys travel, gardening and collecting antiques. He and his wife have 3 children and 4 grandchildren.